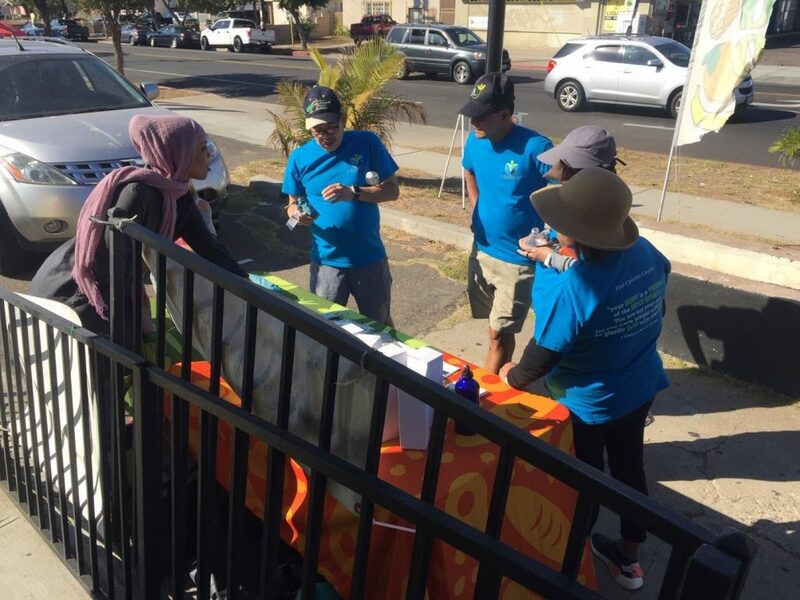 Last month, residents in National City learned about being more active at their church and then went for a walk to a local market that has healthy foods available! 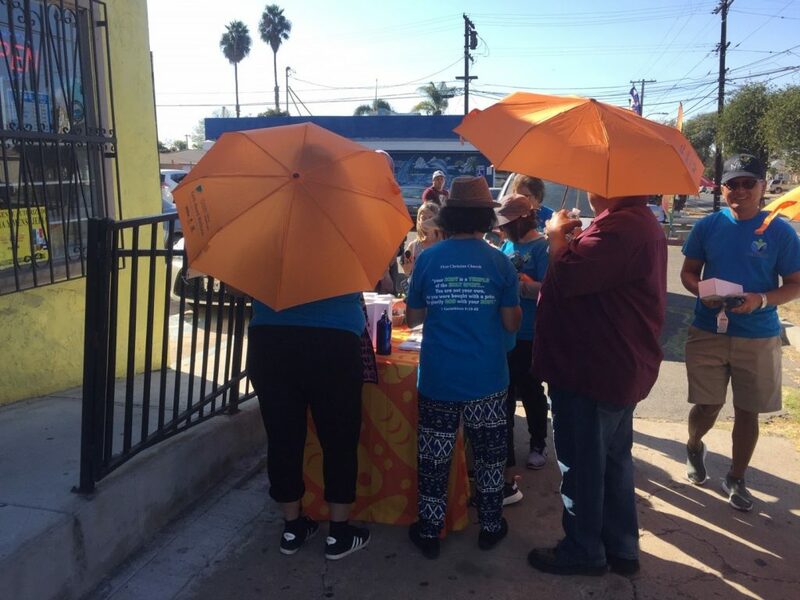 First Christian Church of National City is hosting a monthly “A Healthier Me” class, designed by Champion Provider Dr. Afflalo through a grant from Kaiser Permanente. The class consists of data collection (weight, blood pressure, and blood sugar), a physical activity, a healthy lunch, and a nutrition education lesson. Participants are also recording the number of steps they walk every month with a pedometer. This pilot class at First Christian Church, led by Pastor Tim Captain, is running from September through December. On November 18, the monthly class went on a walk for the physical activity component and stopped by Munchies, a local market. 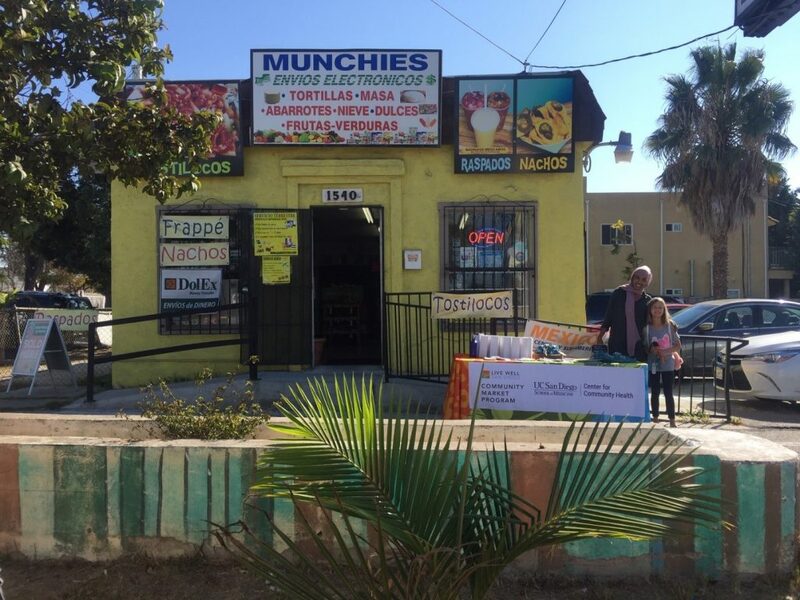 Munchies Corner Store is a participant in CCH’s Live Well Community Market Program and just became a certified WIC vendor. Munchies has healthy WIC-certified foods available as well as fresh and frozen fruits and vegetables. First Christian Church members learned about healthy fruit and vegetable recipes at Munchies and took a tour of the store. The owner, Patricia Castellon, was enthusiastic to show her fresh produce and snacks to local residents, some of whom live across the street. Special thanks to Faith-Based Wellness interns Rachel Rebello, Evan Noble, Micah Estanislao and Isabella Gallardo for their support of “A Healthier Me.” For program funding information, please see Faith-Based Wellness Program and the Live Well Community Market Program.